Sometimes a tooth is so badly broken or decayed that it cannot be rehabilitated and must be removed. It’s not uncommon to feel trepidation at the thought of tooth extraction surgery, but in reality these procedures are safe when performed by an experienced oral and maxillofacial surgeon. 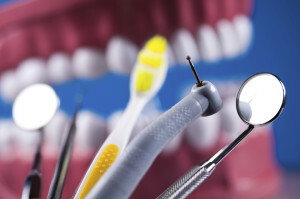 There are several scenarios which warrant the extraction of a tooth. Tooth extraction candidates usually have a tooth that has been seriously weakened by an injury, extreme wear and tear or dental disease. The tooth could be badly cracked, broken or decayed. Many candidates for tooth extractions have impacted teeth where there is not enough room in the mouth for all teeth to properly develop. Impacted teeth usually need to be extracted to prevent infection, discomfort and damage to the adjacent teeth and bones. Associates for Oral & Maxillofacial Surgery are experienced in simple tooth extractions and more complex surgical extractions. We use X-rays and other diagnostic tools to examine the teeth and surrounding bone, and determine the complexity of the procedure. The mouth will be completely numbed during the tooth extraction for the comfort of the patient. Sedation medications (e.g., nitrous oxide, oral medication like Valium) may also be administered. The tooth will be loosened and then removed from its socket in the jawbone. We may need to smooth and recontour the underlying bone, or add bone, depending on the case, but this is not typical. The surgical area will be closed with a stitch. Stitches may be absorbable and disintegrate on their own, or the patient may need to visit our office after the area has healed for the removal of the stitches. • Avoid smoking or using tobacco for several days following tooth extraction. • Avoid rinsing the mouth rigorously. • Avoid drinking hot liquids. • Avoid drinking through a straw. • Keep the extraction site clean. • Take the prescribed medications to ease any discomfort and prevent infection. • Contact us immediately if severe pain, swelling, bleeding or fever occurs. Healing usually takes five to seven days. If a rare complication occurs and the jawbone is damaged during the extraction, healing can take several months. One of the notorious complications of tooth extraction is called dry socket. This occurs when a blood clot fails to form in the socket after the tooth has been extracted, or the blood clot that has formed becomes dislodged, leaving the socket exposed to air and food particles. Dry socket is more often associated with people over 30, those who have poor oral hygiene habits, smokers and women. Women taking birth control are encouraged to schedule tooth extraction for the last day of their menstrual cycle, when estrogen levels are low, to prevent dry socket. Dry socket is more common in people who have difficult tooth extraction procedures or people who have their lower wisdom teeth removed. Dry socket is a painful condition that requires our immediate attention. We will place a medicated dressing into the socket to relieve pain and encourage healing. These dressings will need to be frequently replaced until dry socket symptoms disappear (between five to seven days). If a damaged tooth is causing you pain and you think it might need to be extracted, schedule a consultation with Associates for Oral & Maxillofacial Surgery to examine it. Or, if you have been referred to us for a complex tooth extraction, please contact our Medford Office at (541) 779-3781 for more information. 5 out of 5 stars based on 10 Dental Extraction reviews. AOMS was such a great office! The staff was friendly, the doctor was skilled, and the extraction went great. The next day I was eating just fine! Thank you! Everyone was so pleasant and friendly, it made me feel more relaxed and confident. Wish more medical offices could be like them. Dr. & staff readily available to answer questions. Their skill & caring renewed my faith in the entire profession. Thank you so much!!! Nice touch to have an "assistant" walk me through everything, answer my questions, and assist in the surgery suite. I felt like I had my own Concierge! I can say this; I love my wife, children and grandchildren very much. If there were a need, I would INSIST that they went to Dr. Savages office for treatment! That is how completely satisfied I was with your team. Well Done! You're staff was very helpful and nice also they knew all the answers to my questions. I was in so much pain and very anxious due to previous dental experiences. This was one of the best times I had to a oral surgeon and the staff were extremely caring. After my appointment, I was given a bouquet of flowers, this touched me so much because the previous week I went through so much pain and had almost immediate relief.